It’s time to get the your recliner in the correct spot, a table for snacks nearby and the remote sitting next to you as College Football begins this week. Instead of fumbling around looking for games, here is a handy guide for Week #1. College Football season is getting underway tomorrow woth Cal and Hawaii traveling to Australia to begin the 2016 season. It’s time to unveil my picks every Thursday for the week ahead. Mostly, I won’t give descriptions of each just how I would wager (if I was a wagering person). One note I want to get out of the way for those that bet games. Don’t get fooled by neutral site games. 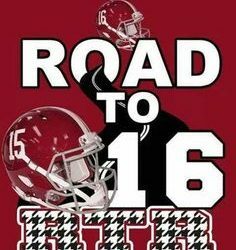 Many times it is just down the road from one of the teams. 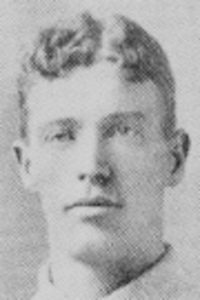 Henry Eli Staley was born on November 3, 1866 in Jacksonville, Illinois and went on to lay baseball from 1888-1895 for four different teams. As a pitcher he was 136-119 with a 3.80 ERA along with 746 strikeouts. On June 1, 1893, Staley had nine runs batted in off his bat, a record for most RBIs in a game by a pitcher that stood for over 70 years until equalled by Atlanta Braves pitcher Tony Cloninger in 1966. He died on January 12, 1910 in Battle Creek, Michigan. James Joseph Hackett was born in Jacksonville, Illinois on October 1, 1877 and had the nickname “Sunny Jim”, He made his major league debut on September 14, 1902 with the St. Louis Cardinals. In 1902, he was primarily a pitcher, appearing in 4 games with an 0–3 record at that position. In 1903, he was primarily a first baseman, batting .228, while still appearing in seven games on the mound and going 1–3. His last game came on September 27, 1903. He died on March 28, 1961 in Douglas, Michigan. Robert Lee Turley (September 19, 1930 – March 30, 2013), known as “Bullet Bob”, played in Major League Baseball (MLB) as a pitcher from 1951 through 1963. He was raised in East St. Louis, Illinois. He attended East St. Louis Senior High School in East St. Louis, and played for the school’s baseball squad for three years. He was used as both a starter and reliever, becoming the staff’s ace pitcher by the end of his senior season, in 1948. Turley won the team’s sportsmanship award that year. Bill DeWitt, the general manager of the St. Louis Browns, brought Turley to Sportsman’s Park for a tryout. Turley also attended a workout camp for the New York Yankees, held in Maryville, Illinois. The day after he graduated from high school in 1948, Turley signed with the Browns as an amateur free agent. He received a $600 signing bonus ($5,909 in current dollar terms). He played his first game in the major leagues on September 29, 1951. He lost to the Chicago White Sox. He did not pitch again in 1951, and after the season ended, he enlisted with the United States Army for two years. H returned to the Browns in August 1953, and caught attention for his high strikeout rate. He remaeined with the team after they moved to Baltimore, Maryland, to become the Baltimore Orioles in 1954. He earned $9,000 ($79,305 in current dollar terms) for the 1954 season. He pitched the first game at Memorial Stadium, striking out nine in a complete game. 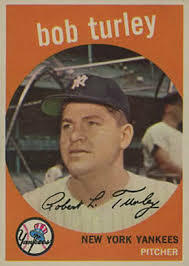 A power pitcher, Turley recorded many strikeouts, but did not have great control.For the 1954 season, he led the American League in strikeouts with 185, but also led the league with 181 walks. That year, he earned comparisons to fellow fireballer Bob Feller,and finished in third place in balloting for the Hickok Belt, given to the professional athlete of the year. While playing for the Orioles, Turley obtained the nickname “Bullet Bob”. The magazine Look wrote a story about Turley, and wanted to measure the velocity of his fastball. They used a bullet timer from the Aberdeen Proving Grounds, which recorded a speed of 98 miles per hour (158 km/h) by the time it reached home plate. Turley made an appearance on It’s News to Me, a current events-based game show hosted by Walter Cronkite.He was mentioned in a song called “St. Louis Browns” by Skip Battin, who was the bass guitarist of The Byrds and the New Riders of the Purple Sage. In the lyrics, Battin describes Turley as a “no-hit pitcher” who “got too surly” and who was “traded…too early”. He was a left-handed pitcher for the St. Louis Browns (1911–16, later in 1916–17), Detroit Tigers (1916), Pittsburgh Pirates (1918–23), and the Philadelphia Phillies (1924). He played his first major league game on April 14, 1911. Through the early to mid-teens, Hamilton was considered a quality pitcher and was one of the better pitchers on some terrible Browns teams. In 1914, He pitched a no-hitter against Detroit on August 30, 1912, becoming the first player to pitch a no-hitter without recording a strikeout. The Tigers did get a run on a Ty Cobb walk and an error, making the final score 5-1 Browns. 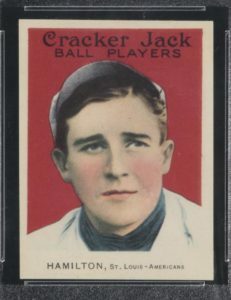 Hamilton also batted left-handed and ended his career with an average pitcher’s batting average of .153 in 733 at bats.ton had a very quality season, going 17-18 with a 2.50 ERA in 302 and 1/3 innings pitched. After being purchased by Detroit in 1916, he was waived back to the Browns less than a month later. Then, in 1918, he finally left St. Louis for good after an 0-9 season, being purchased by Pittsburgh before the season began. That season, in 6 starts, he had one of the most amazing seasons ever recorded. Hamilton was 6-0 with a 0.83 ERA in 54 innings that year. He finished with 1 shutout in his 6 complete games. Hamilton had only given up 7 runs (5 earned) in 6 games. Hamilton pitched 16 shutout innings on July 16, 1920 with the Pirates, before losing 7-0 against the New York Giants, clearly having run out of gas in the 17th. Rube Benton was the Giants’ pitcher, also going 16 shutout innings. Oddly, he picked that season to enlist in the Navy. Hamilton returned for more fair seasons with the Pirates. Along with Wilbur Cooper, Whitey Glazner, and Babe Adams, he helped make up a good rotation for Pittsburgh, culminating with a second-place finish in 1921 (behind only the New York Giants, 4 games). However, they never made the World Series with Hamilton. Before he retired in 1924, Hamilton was selected off waivers by the Phillies, and he went 0-1 with them, with a 10.50 ERA. Hamilton made sparse appearances on leaderboards throughout his career, such as a 9th-place finish in the ERA leaderboard (3.36, 1921) and a 7th-place finish in wins in 1914, when he had 17. He also made the top 10 in losses three times (1914, 15, 21), and ended up finishing only two years of his career with a winning record; his 6-0 season of 1918 and 1922 (11-7). In 14 years, he was 116-147 with a solid 3.16 ERA in 410 games (261 starts). He pitched 140 complete games, 16 of them shutouts. Hamilton recorded 790 career strikeouts and allowed 1075 runs (822 earned) in 2342 and 2/3 innings pitched. He died on November 17, 1968 in Anaheim, California, at the age of 77. Where is Gibson City, Illinois? As of the census of 2000, there were 3,373 people, 1,469 households, and 928 families residing in the city. The population density was 1,604.0 people per square mile (620.2/km²). There were 1,565 housing units at an average density of 744.2 per square mile (287.7/km²). The racial makeup of the city was 98.13% White, 0.59% African American, 0.53% Asian, 0.03% from other races, and 0.71% from two or more races. Hispanic or Latino of any race were 0.65% of the population. Illinois State Highways 9, 47, and 54 intersect on the edge of Gibson City.